Monkeys are an all time favorite aren't they. From characters like Curious George to soft toy monkeys kids do love them. They're cute, mischievous and lots of fun. This makes them a great choice for a children's party theme. 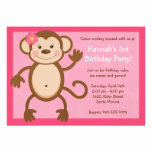 I must admit I like monkeys too so I enjoyed tracking down some creative ideas for your monkey birthday party favor bag. Blowouts are one of those classic party favors. 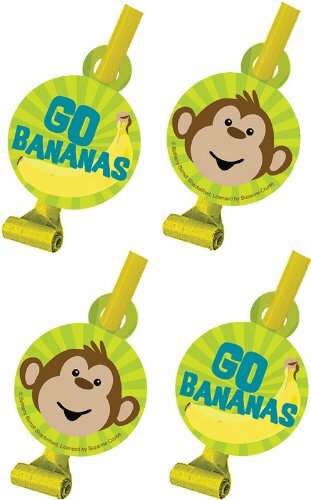 I found these cute "Go Bananas" blowouts which would be fun on the party table or popped into the party favor bag. Traditional blow outs make a high pitched whistling noise. It's the sound of a birthday party. It seems these monkey blowouts don't make a noise though. You might either be happy or disappointed about this but they ARE cute!! They're also cheap because they come in packs of 8. That works out to about 60c each. Balloons are the other classic party favor. 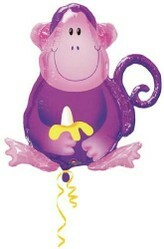 I loved this monkey balloon. You have to buy them individually (instead of in a pack) but they would go great in a monkey party favor bag. Stickers are essential party favor bag items. Something that kids expect. 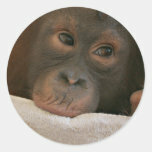 So I had to find some cute monkey stickers - and I think I did. From realistic chimps to cartoon monkeys it's not too hard to find something that will suit the age and interests of your child and party guests. I did find the classic sticker sheets a bit more expensive than I expected. There also wasn't a lot of choice. The Monkey Sticker Roll was the best I found on Amazon. 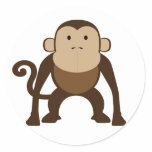 But there's some really cute monkey stickers on Zazzle too. I just loved these little monkeys when I saw them. So so cute!!! 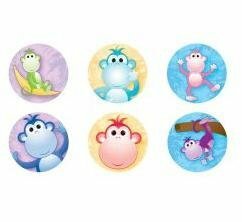 They're great for pretend play and come in packs of 10 monkeys. At $4 a pack it's easy to pop a whole pack in each party bag. That will give every child hours of play as they make up pretend stories with the monkeys. If you're wanting to watch your budget you could just add a few to each party bag instead too. 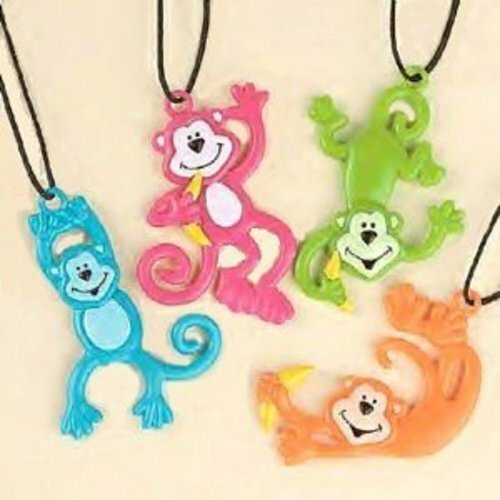 Each monkey is worth about 40c so you can pop 5 of these little monkeys in and only pay $2. Great value! If you're going to pop a small handful in each bag you could either put them loose in the party bags, or you could wrap them in colorful cellophane. 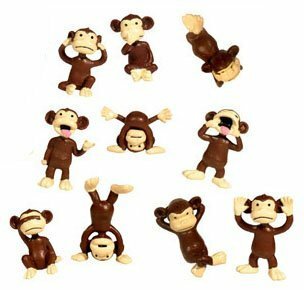 WARNING: Because these monkey figures are small they're a choking risk for the under 3s. So definitely only a toy for kids 3 years and up. This is an all time favorite toy. Did you have these as a young child? I did. They're a simple, classic toy that's fun. I have lovely memories of playing with these, so I was really glad to see you can still get them. 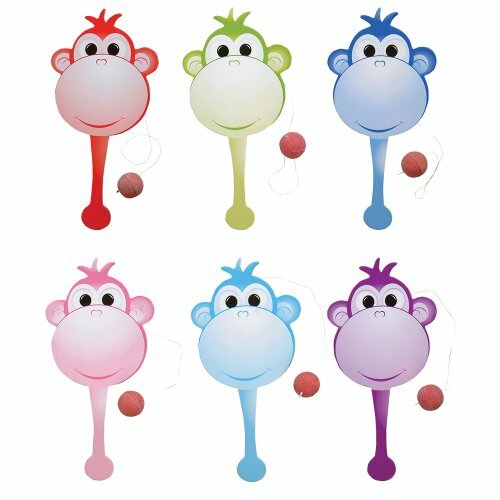 Amazon has these for less than $2 so they're the perfect price for a monkey party favor. They're also good for filling up a party bag to make it look overflowing too. Best of all though they're a brightly colored and a fun toy for preschool kids. You might not have thought about using a beach ball as a party favor, but kids love playing with balls. Balls like this are easy to pop into a party bag because they're sold uninflated, so they're flat not round. They're also sold in packets of 12 so they work out to less than $2 each. That's really good for a traditional toy that kids love throwing and catching. 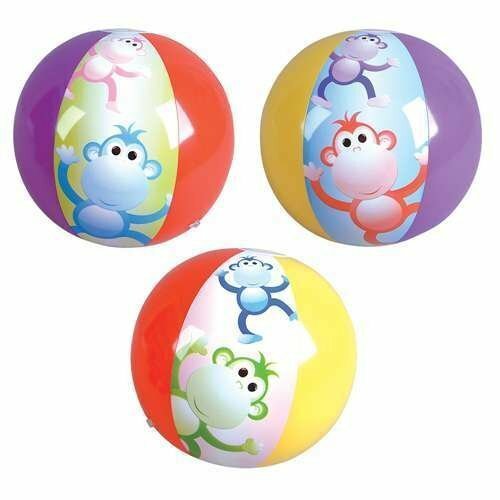 These beach balls also have such a cute monkey design on them and bright colors, making them a great choice. Paddle ball games are another classic toy. These are fun for older children (from about 4 years of age) and they're great for helping children's hand - eye coordination too. This set is great for a party favor because being in packs of 12 each paddle game is less than 50c each. 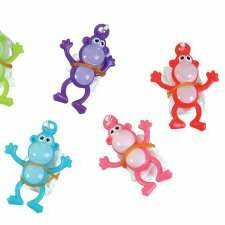 They're also great for filling up your bag and they're an 'active' toy like the balls ... and kids, especially younger kids, love toys that let them be active. 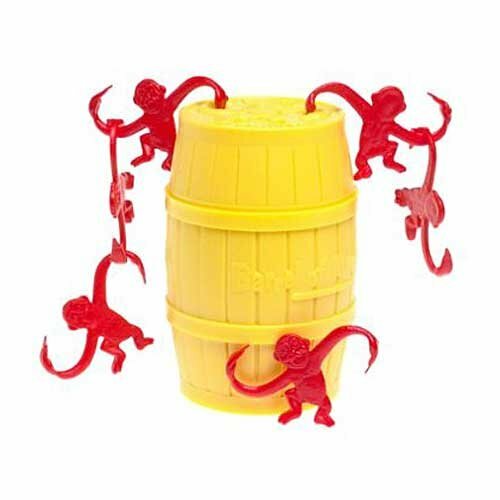 This set is also great because, you guessed it, they're a cute and colorful monkey design. Necklaces are always fun for the girls at your party, and I thought these were fabulous. Firstly they come in packs of 12 so they're only about 50c each. Perfect!! They're cute. Brightly colored. I love the way they swing on the necklace, just like monkeys would too. So they have a playful mood that's great for a party and a monkey party favor bag. So I feel these are a really good choice for a party because they really suit the fun mood. And Have You Seen These Before? Yes!! Parachuting monkey toys!! 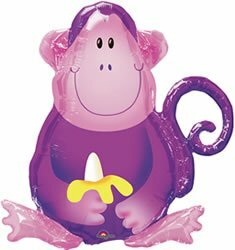 These monkeys have a plastic parachute that allows them to glide down just like a Parachutist. They're a big hit with kids and a real novelty because they're different and so much fun. These are also really cheap too so great for party bag filler - a pack of 12 is less than $2. So if you're looking for something a bit different for young school age kids (recommended age is 5 years and up) that will help fill up your party bag without spending a lot of money, these would be wonderful. 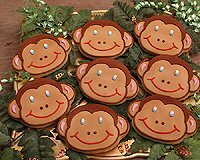 You can get some great monkey cookies that are ready to pop into your party bag as a special treat. I thought these Silly Monkey Cookies had a really comical look on their faces and you get 12 cookies (not 8 like in the photo) so each cookie works out to just under $3 each. That's a fairly common price for a special kids cookie. The good thing with cookies like this is that they're easy, fast and kids will love them. If you want to keep your costs down, or be a bit creative you can also make your own monkey cookies. You just need to buy or make some cookie dough and grab a monkey shaped cookie cutter and some icing in the right colors. You could have a few batches of these cookies ready for icing as a party activity. Or you can finish them off and pop one or more in your party bags. Because of the icing colors I think cookies like this look best in clear cellophane so the cookies show through best. 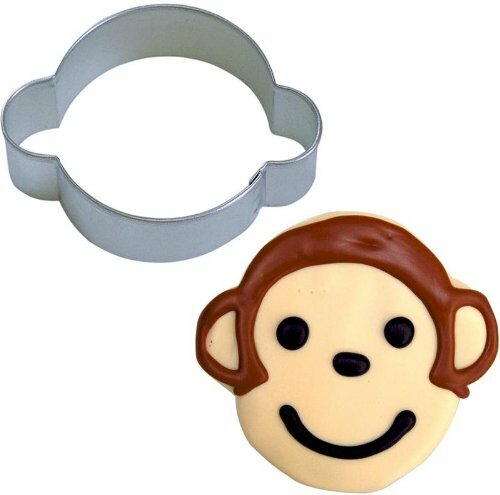 But either way these monkey cookie cutters make for a cheap and fun activity or party favor. If you're having trouble finding monkey themed chocolates don't forget you can make your own. 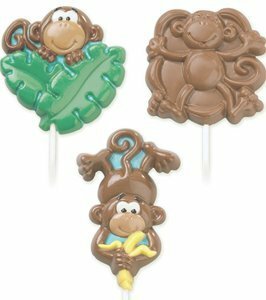 With a chocolate mold (like the one that made these chocolates) you can create some great monkey chocolates with some melted chocolate. Now I admit I've not made chocolates myself, but I did have a friend who loved making chocolates for presents and it didn't look too hard. If you're not sure try having a quick Google for ideas or take a peek on YouTube for an easy 'how to'. Very nice, the monkey stickers look cute! Thanks so much :D I haven't had a chance to write anything for a while so it's nice to get back to it. Zazzle is a great creative resource. I love it!